Every gasoline that is tanked up to the fuel tank has impurities: dust, corrosion products from storage tanks, water etc. Most of them are removed by filtering system, other get partially burnt with the fuel, and are partially precipitated in the tank, fuel supply ducts, filters. 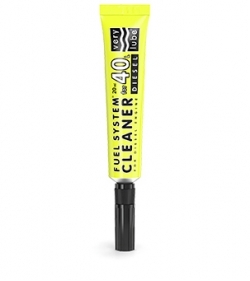 Fuel system cleaner is a liquid, which being added to fuel cleans the fuel supply system of a car quickly and effectively. 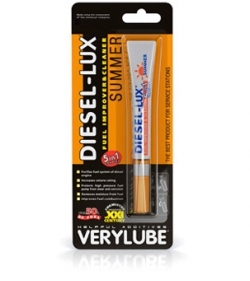 Please, pay your attention to the fact that additives for gasoline and diesel engines vary. Their main objective is for sure prevention of fuel system contaminations; for such purpose they work most efficiently preventing deposits formation. In such a case the entire fuel supply system – from fuel tank to spray burners – gets cleaned. Such modifiers also help to dispose of old deposits. They gradually wash off contaminations, which get burnt in cylinders together with fuel and are brought out with exhaust gases. Such “soft cleaning” guarantees that dirt won’t exfoliate in pieces and bank up spray burners or fuel supply duct. 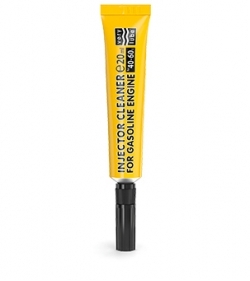 Furthermore, these additives stimulate more complete fuel combustion that helps to save on fuel consumption and reimburse the cost of the modifier and even more. In order to solve a more specific problem: clogged spray burners or orifice plugs, problems with throttle butterfly – there exist directional effect additives. These liquids are poured through the tank filler, but they don’t start to work immediately and remain “sleeping”. They begin to work in a particular part of the fuel supply system – injection system, where high pressure and temperature are present. Such local cleaning allows to clean the needed assembly from undesired deposits more qualitatively increasing the effect resource of the additive, which doesn’t scatter its effect. Preventive use of compounds with directional effect helps to keep injection system parts clean as at the manufacturing works. As a result one won’t need to drive to garage and buy an expensive service of special equipment-based cleaning of spray burners or orifice plugs. Water is almost always present in the fuel tank. It gets there by tanking as well as condenses on tank walls by heat difference. In summer its quantity in fuel is minimal and insensible for the driver. But as soon as temperature falls below zero, its quantity increases and it begins to freeze and crystallizes. These ice particles can bank up ducts and filters making the engine start more difficult. 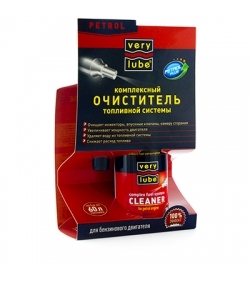 That is why Verylube offers complex compounds that along with mechanical cleaning of fuel system help to remove water from it. Such neutralizers don’t let the water freeze; in cylinders it mixes with fuel mixture and combusts. 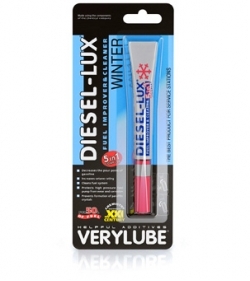 Owners of diesel cars can also face the problem of fuel freezing by cold snaps. If diesel fuel type doesn’t correspond to the season, paraffin oils in it begin to crystallize by cold weather. They form blobs that bank up filter cells and fuel supply to the spray burners is interrupted. 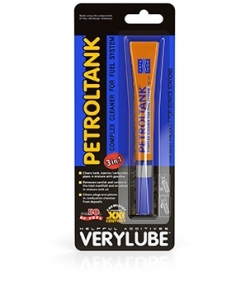 To avoid this it is recommended in advance of cold weather to tank up the car with diesel fuel adding a special additive that stops growth of paraffin oils crystals. It is important to remember that the additive is most efficient till the moment, when fuel begins to cloud, i.e. the crystallization has not started yet. All additives should be applied to fuel before tanking; in such case they are mixed better. One should also keep to proportions recommended by the compound manufacturer. It is to be remembered that any medicine becomes a poison, if overdosed.